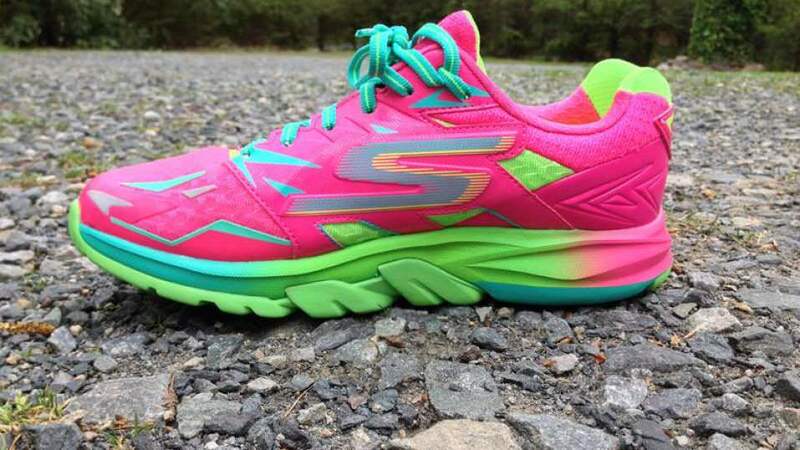 The Skechers GOrun Strada is supremely cushioned, yet responsive enough to function as a go-to shoe for everything from long runs to tempos to recovery runs. 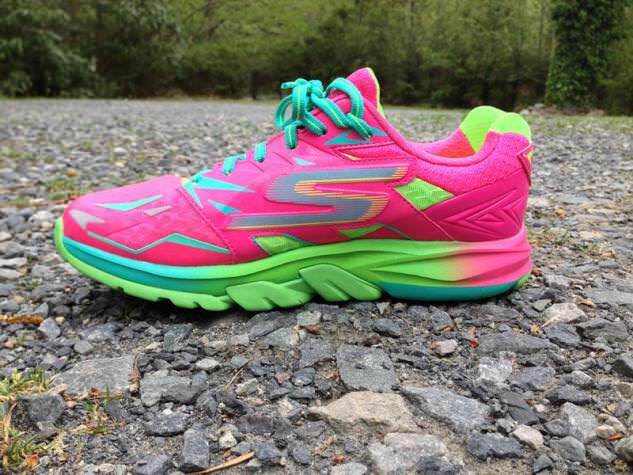 The Strada is yet another addition to the Skechers GOrun performance line that was originally designed for Skechers’ professional distance runners Meb Keflezighi and Kara Goucher as a daily training shoe. 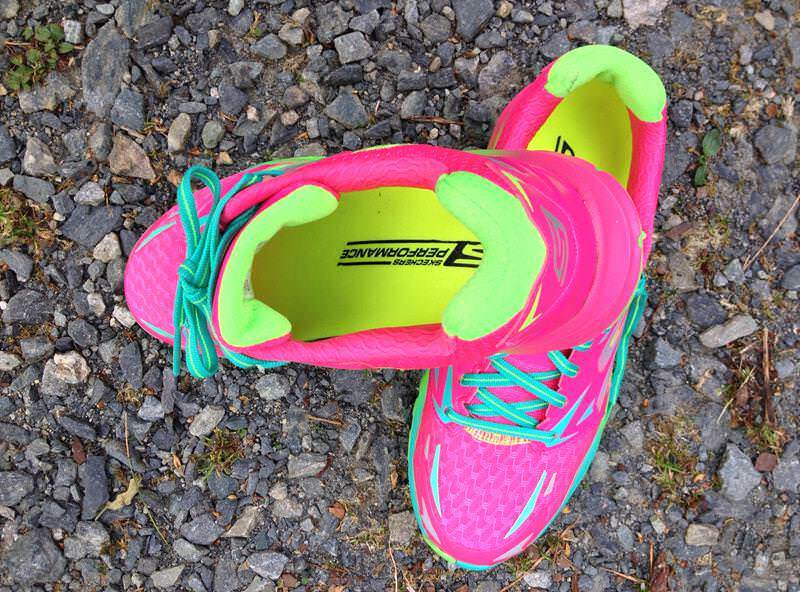 It is a relatively lightweight shoe for the amount of cushioning it offers, but is on the heavier and more structured end of the spectrum than Skechers’ other offerings. Fresh out of the box, the colorway was a bit overwhelming. 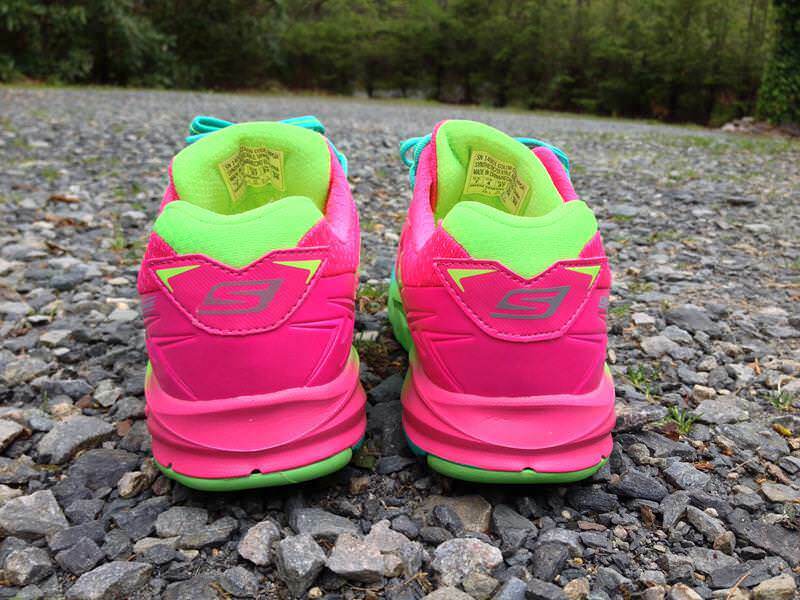 The bright pink shoes are certainly flashy and eye-catching. My first run in the Strada was the day after a workout and they provided a soft, plush ride that felt great despite how flat my legs were feeling. They performed well on the road in addition to groomed trails and gravel. As a performance neutral shoe, I have enjoyed some faster running in the Strada, in addition to easy runs. 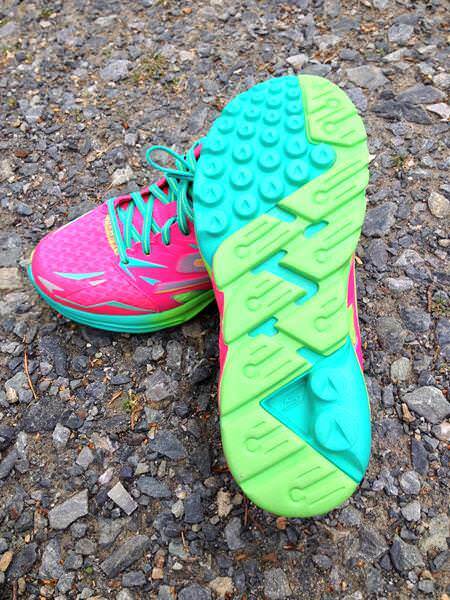 However, for speed in general, there is a little more shoe underfoot than I typically prefer for quicker pace work. I appreciated the Strada most on recovery or easy runs. The GOrun Strada boasts Skechers’ signature M-Strike Technology and Resalyte cushioning to promote midfoot strike which is optimal for efficient turnover. As a heel-striker, I did feel like this shoe gently encouraged midfoot landing. 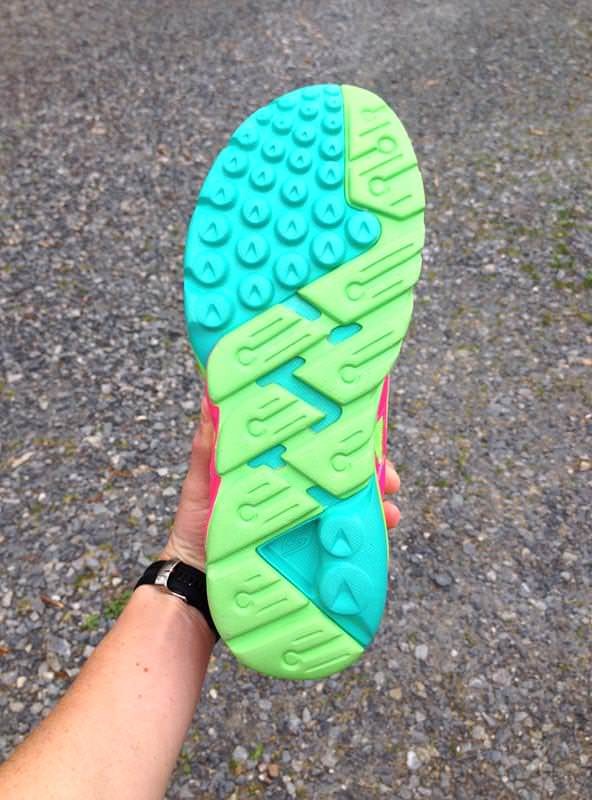 The seemingly simply sole unit is constructed of two types of foam, but does not employ any rubber in the outsole. A slightly firmer foam forms an “S” shape across the bottom of the shoe providing durability in the locations that experience the most wear: the heel and the big toe. The Strada is designed for high-mileage and I am curious to see how the softer foam on the outsole holds up after a couple hundred miles. At the writing of this review, the durability of the foam does not seem to be an issue. The upper of the Strada consists of multiple thick plastic overlay pieces that could be simplified. Nonetheless, I did not experience any irritation or blisters despite all the stitching. The upper hugs the foot firmly in place. The tongue, too, is well padded, adding to the secure fit. 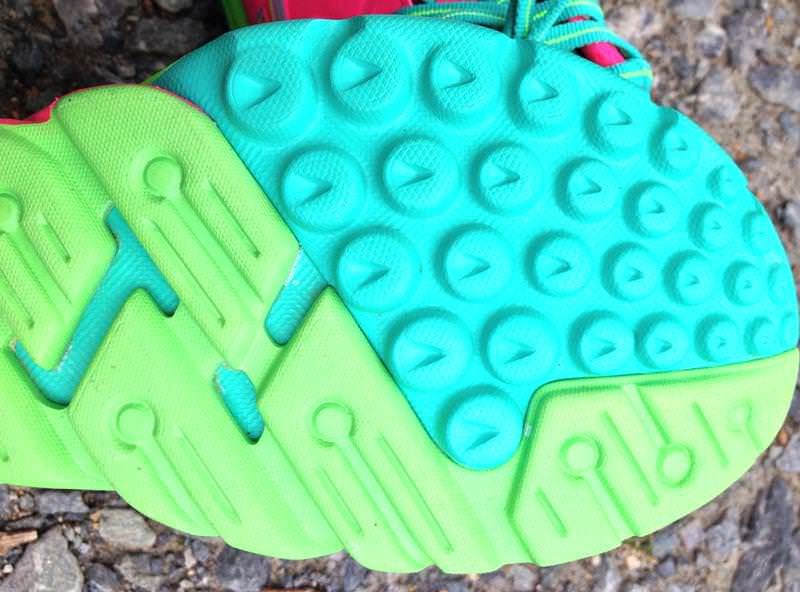 The toe box provides adequate room for toe-splay. The GOrun Strada is one of Skechers’ more substantial shoes in weight, structure, and cushioning and is best suited for long runs on the road where the soft ride keeps legs feeling fresh mile after mile. 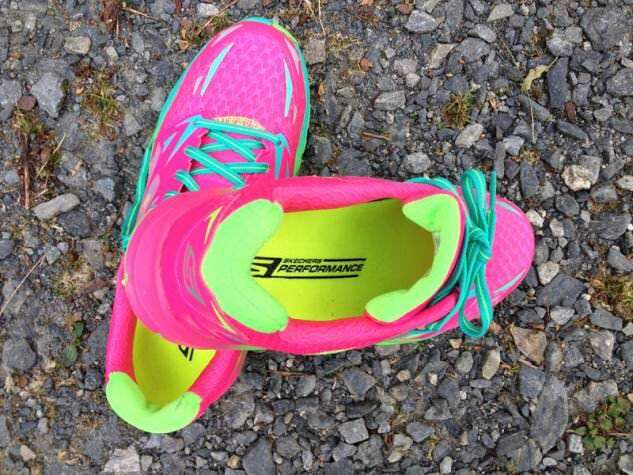 We thank the nice people at Skechers for sending us a pair of GoRun Strada to test. This did not influence the outcome of the review, written after running more than 50 miles in them. Bought these for my wife she loves them, looking for a male version.